The deadline to submit comments about the planned Incinerator has now been reached. 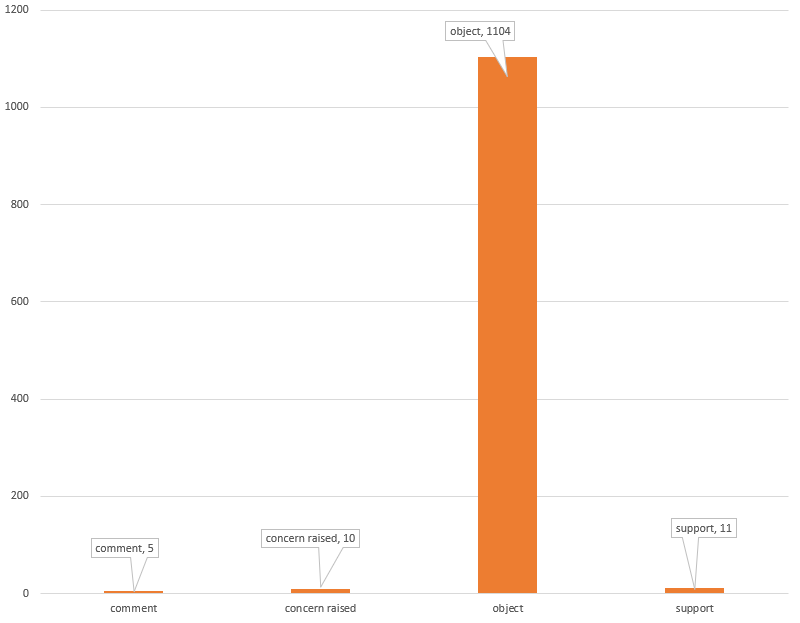 The following chart shows the total number of people that made an online representation categorised by their response. It is clear more people DON’T want the Incinerator built than those supporting it. Thank you for everybody that objected to this monstrosity. I have recently co-published a paper on ultra fine particles in aircraft cabin air supplies. As it turns out we have a paragraph in there stating “inhalation of fine and ultrafine particles is a major route of exposure to toxic combustion by-products from waste incinerators”. See section heading “Significance of Nanoparticles to the Toxicology of Triaryl Phosphates in Cabin Air” on the following links. This is the work of Professor Vyvyan Howard, the lead author, a medically qualified pathologist/toxicologist. Please advise if there is an opportunity still to submit this to the planning section of the council? No Incnerator 4Horsham we did not buy a new build in Horsham after moving from London.